Recently, our team from Prompt Group learnt from a reliable source that a village named Kada sited in Visnagar district of Gujarat, has been prospering due to its elite dairy business there. And a surprising fact for us to know was that they consider AMCS to be their stepping stone to success. Kada Milk Producing Cooperative Society (KMPCS) is a central milk collection point for the farmers of Kada village. They are following this business for some years now and have taken it on top by incorporating AMCS software that helps them automate milk production and collection process completely. 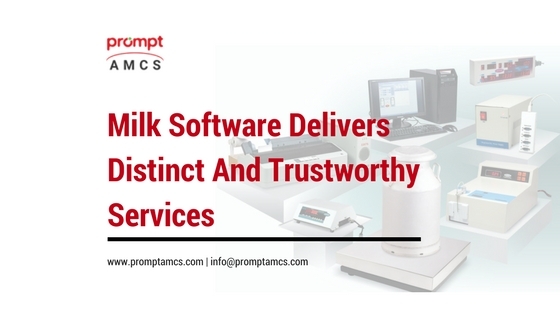 AMCS is an Automatic Milk Collection Software developed by Prompt Group in Ahmedabad that automates milk collection process and related transactions. It is a central data management system for data analysis and milk production estimation. Prompt’s AMCS software aims to digitalize the rural parts of India, that is, the villages and connect them on a single platform. This will in turn help improve social and economic growth of rural India, and hence the country. They have been successful in providing a good source of revenue to the farmers and earned huge profit in their business. Their aim is to provide a stable life to all farmers and make every effort to safeguard their prosperity.